uptone: I got recognised as the "Monty Python guy" by the lead singer of CODA! I got recognised as the "Monty Python guy" by the lead singer of CODA! I was walking back home from East Grinstead a few weeks ago when this chap in the street said, "Hi, I recognise you - aren't you the Monty Python guy?" 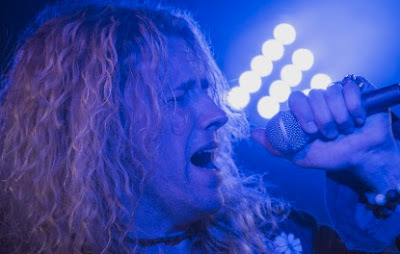 He later identified himself as Peter Byrne, that is to say, Robert Plant in the Led Zeppelin tribute band "CODA". Well, I was chuffed to be recognised! So I listened to some CODA. They are great! Sound just like the real thing! Great to meet you Peter - you made my day. Glad you're a Python fan too!